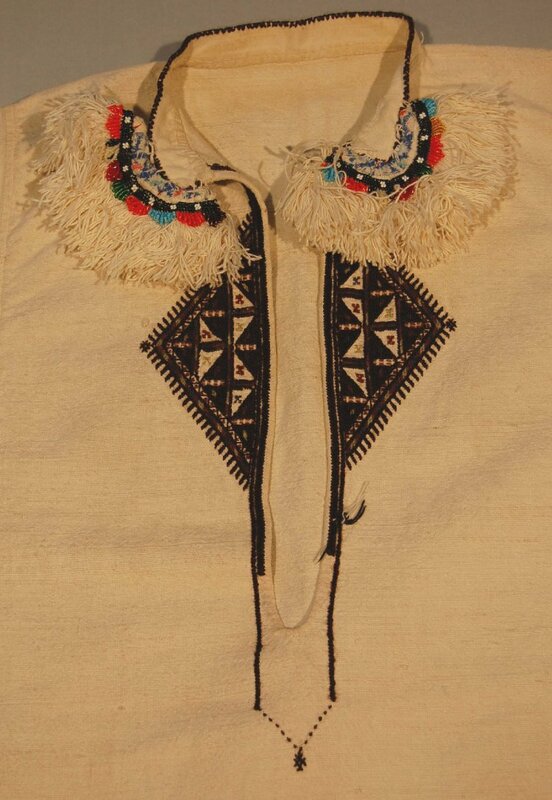 Today I would like to share some images which I found on the website of The British Museum. 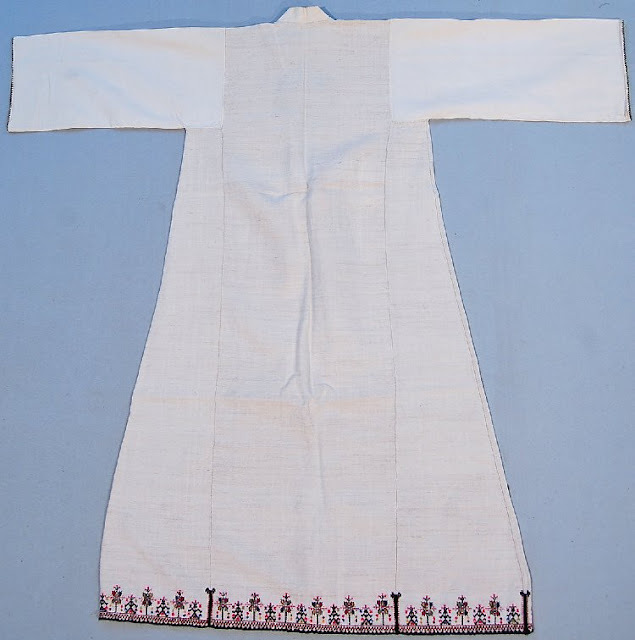 This points out a couple of things. One is the wealth of information available online today. 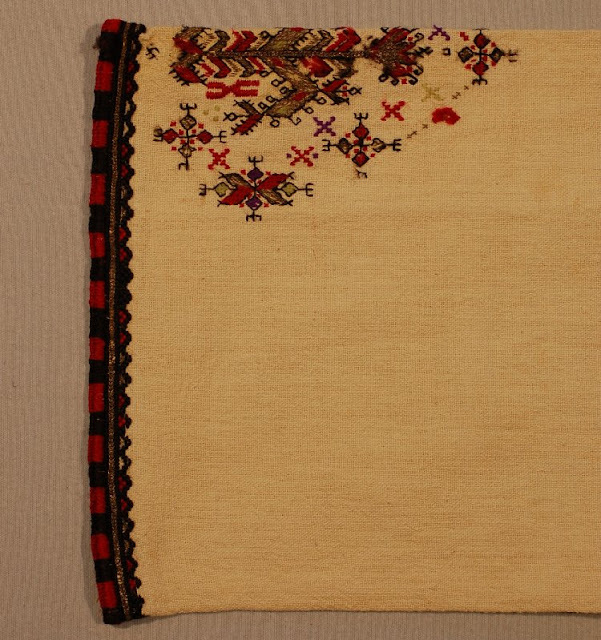 The other is that even such an august institution as The British Museum can make mistakes. 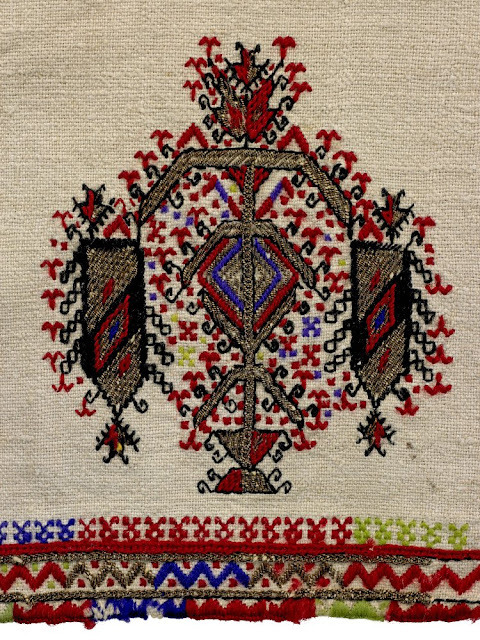 The chemises pictured are from Skopska Blatija in Macedonia, but are misidentified as being from Kjustendil, Bulgaria. 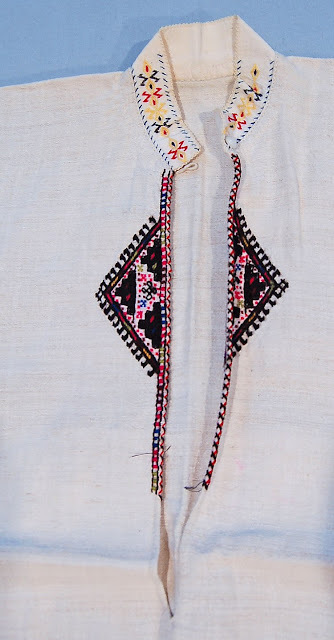 This is why I am making these images available on my blog. 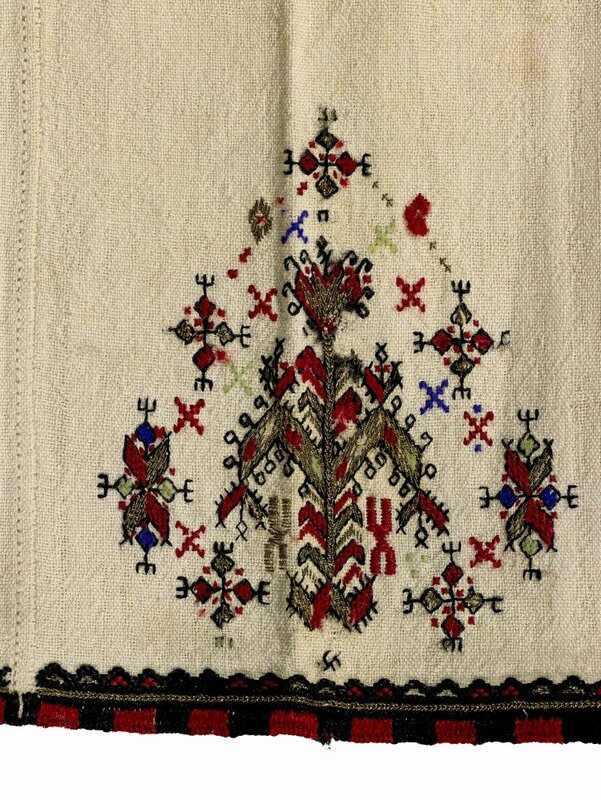 First I wish to emphasize that this website is a fantastic resource for researchers of many kinds. 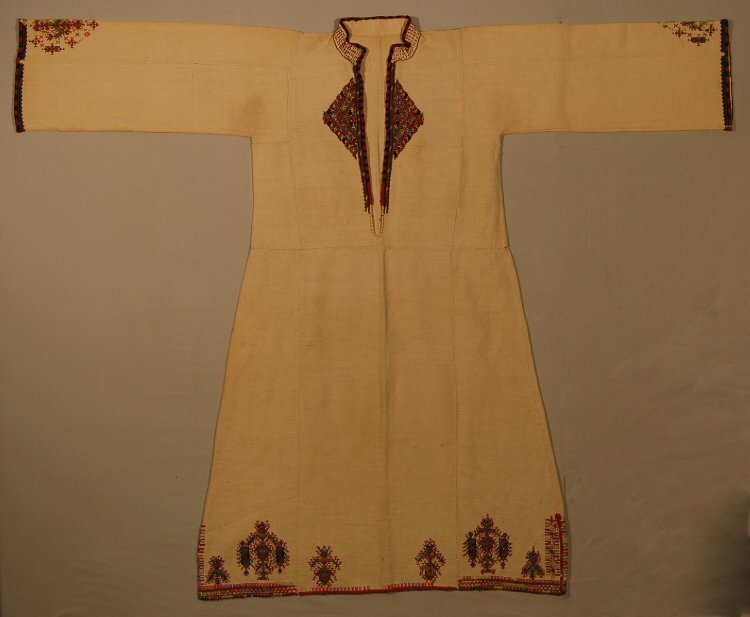 Photos of this one were somehow included in the description of a chemise from Kyustendil [Kjustendil], along with photos of the actual Kjustendil chemise. 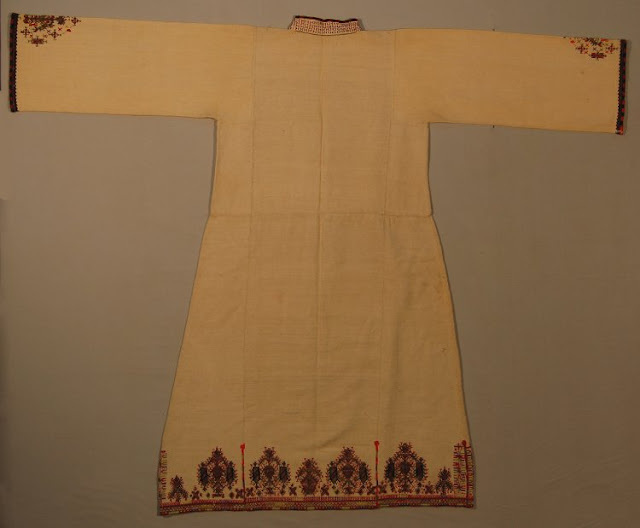 This one has the nine flowers embroidery on the sleeve. 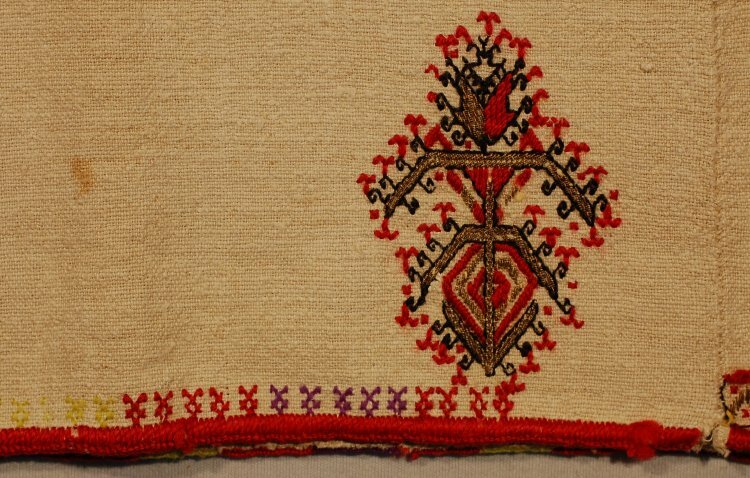 Here are some closeups. 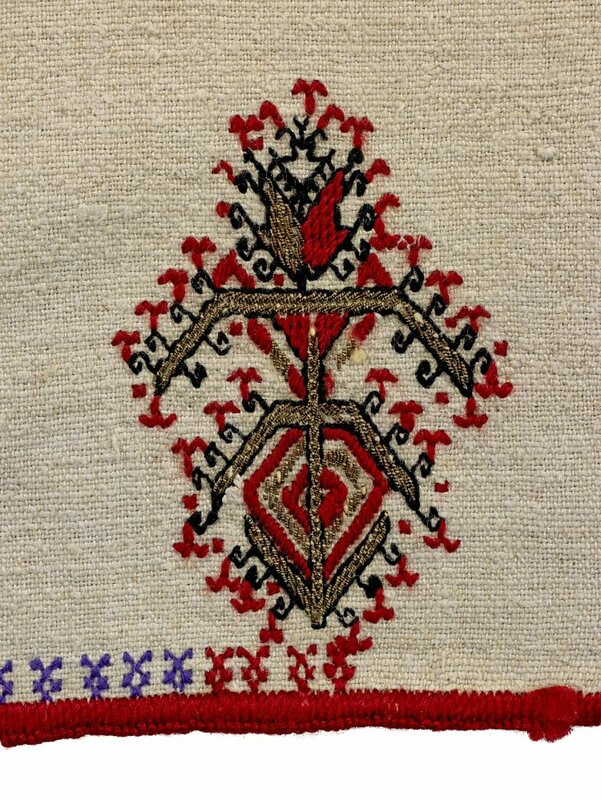 This next one was mistakenly identified as being from Kjustendil based on its resemblance to the above item. This next piece is of an everyday chemise which has more modest embroidery. 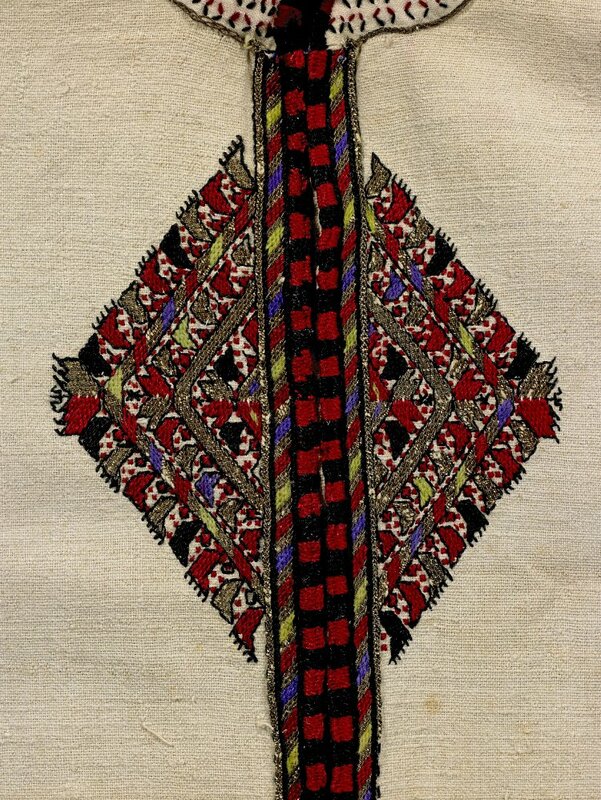 This one is correctly identified as being from Skopska Blatija. This last piece is a bit of a mystery. 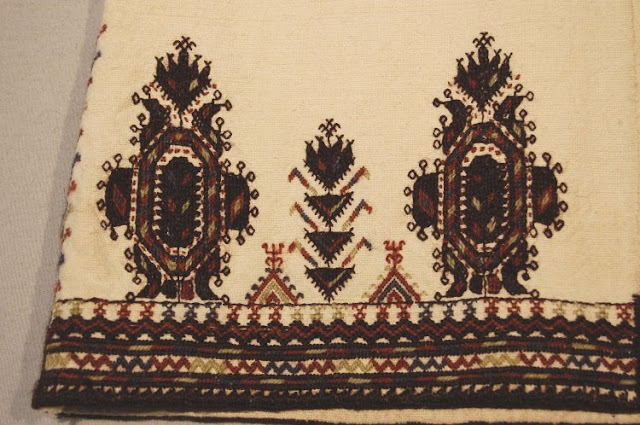 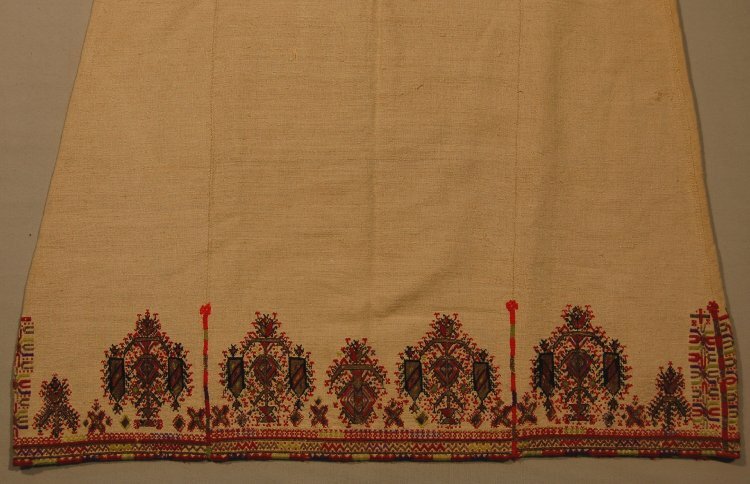 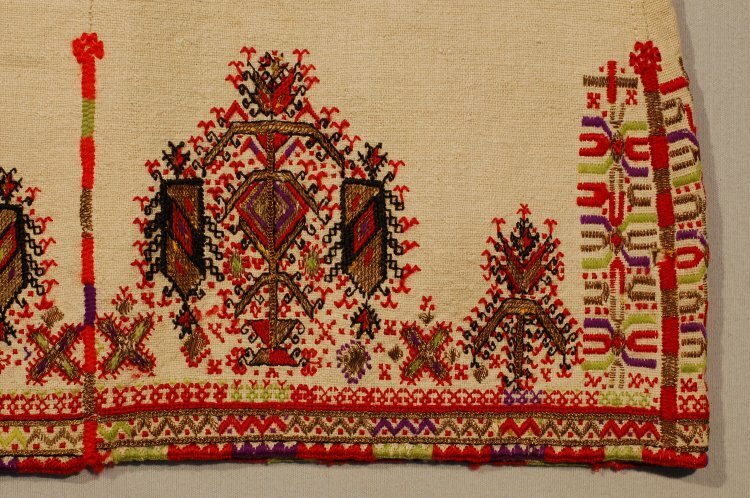 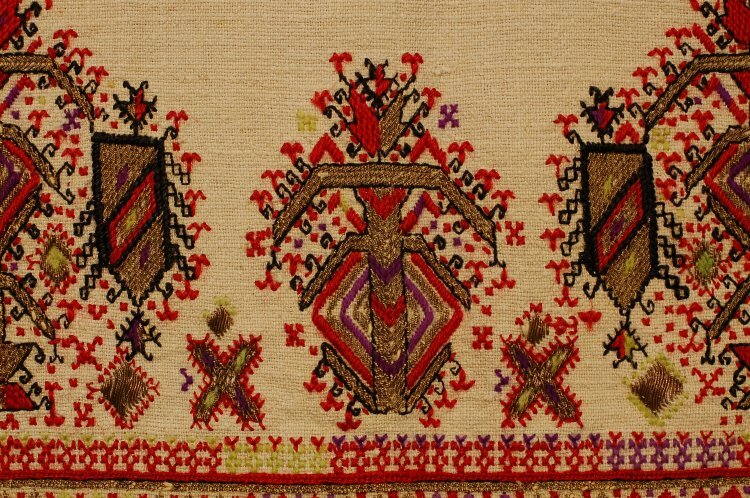 It is identified as being from Skopska Crna Gora, but the embroidery is typical for Skopska Blatija. 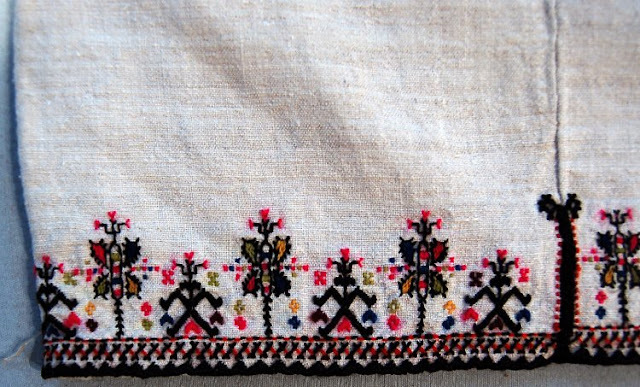 The embroidery from Skopska Crna Gora is very different. 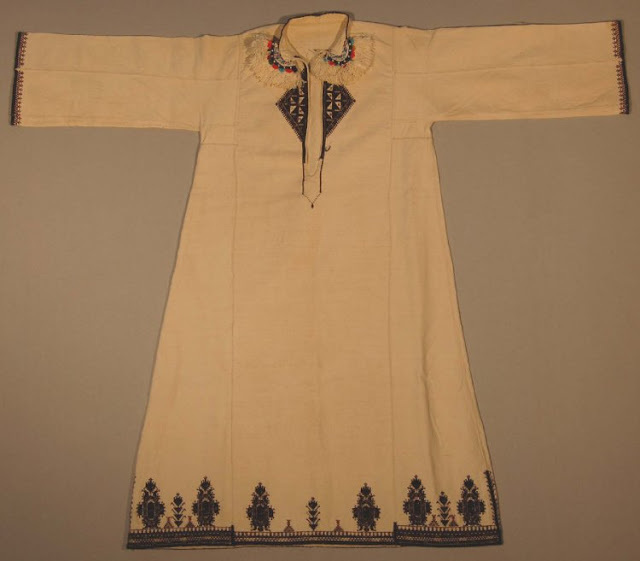 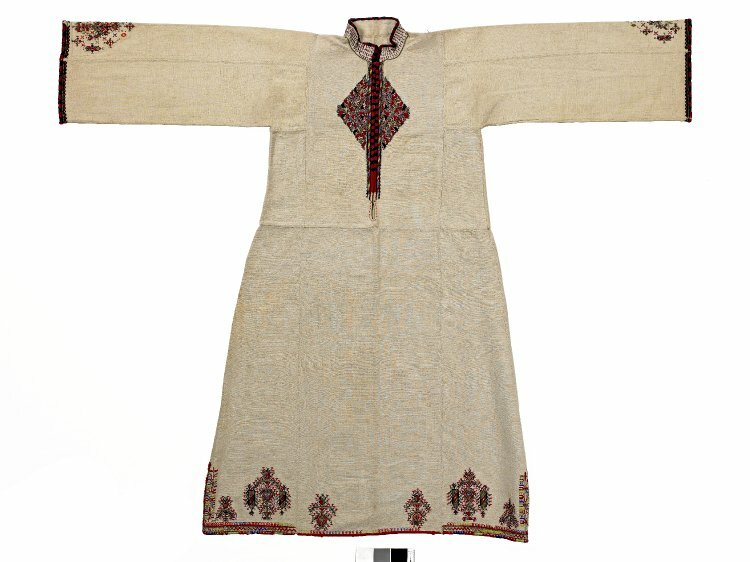 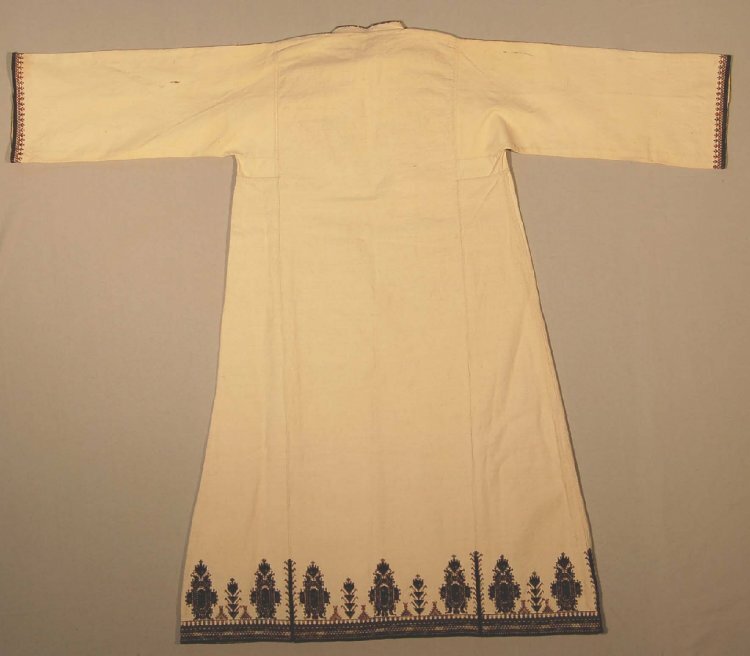 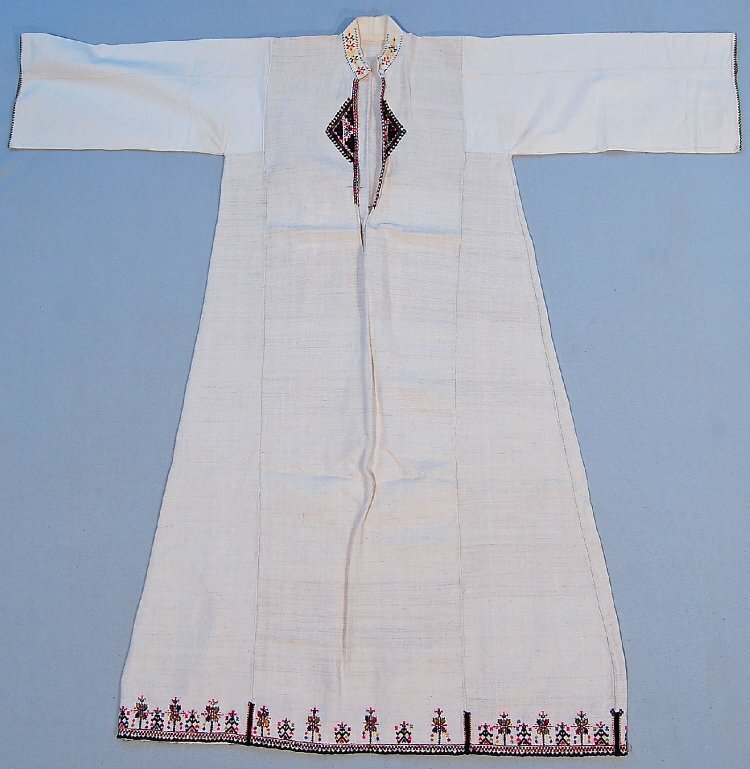 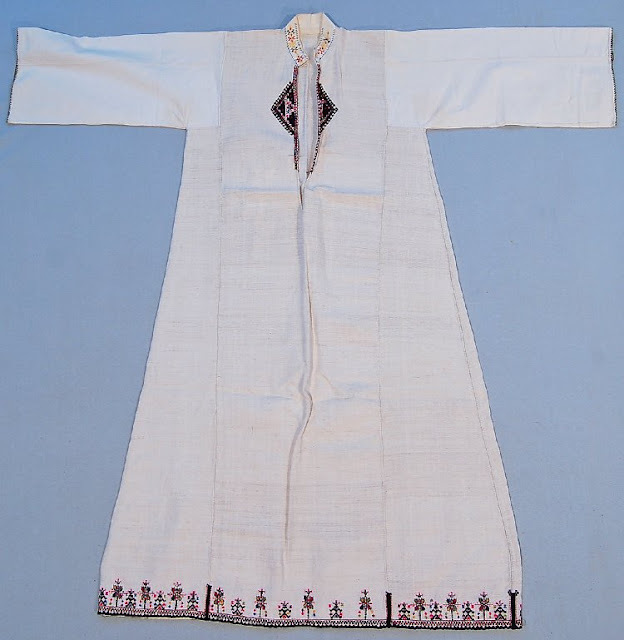 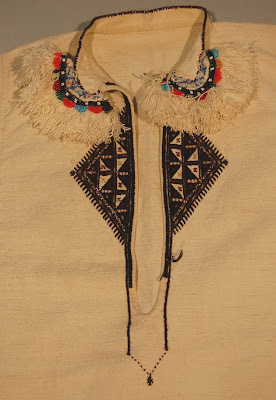 The only part of this chemise which resembles the Crna Gora style is the fringed ornament which is stitched to the collar. 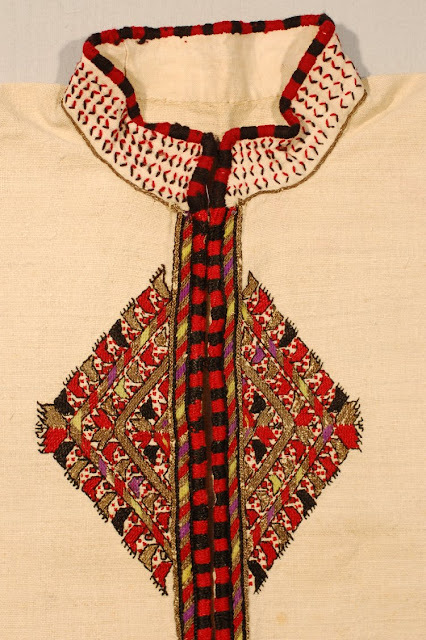 This is not part of the Skopska Blatija tradition, on the other hand the two regions adjoin, so perhaps the woman who made it liked it, or perhaps this was attached in error. Again, I wish to recommend the website of The British Museum for those doing research online in many subjects.